This game was beautiful in its simplicity. 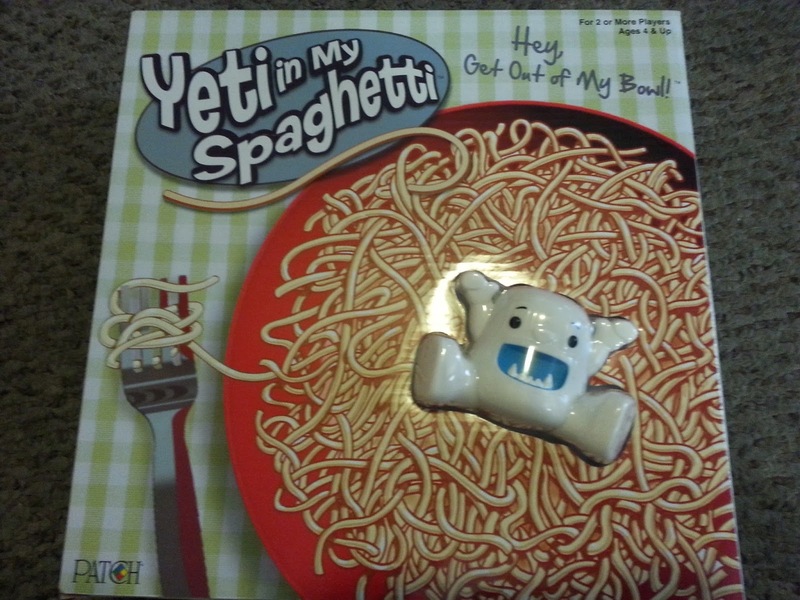 You stack plastic spaghetti on a plastic bowl and put the yeti on top. 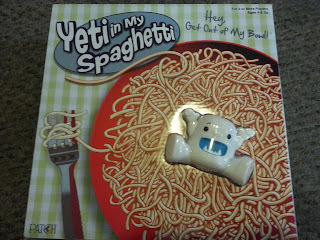 Take turns pulling the spaghetti strands out until the yeti falls. 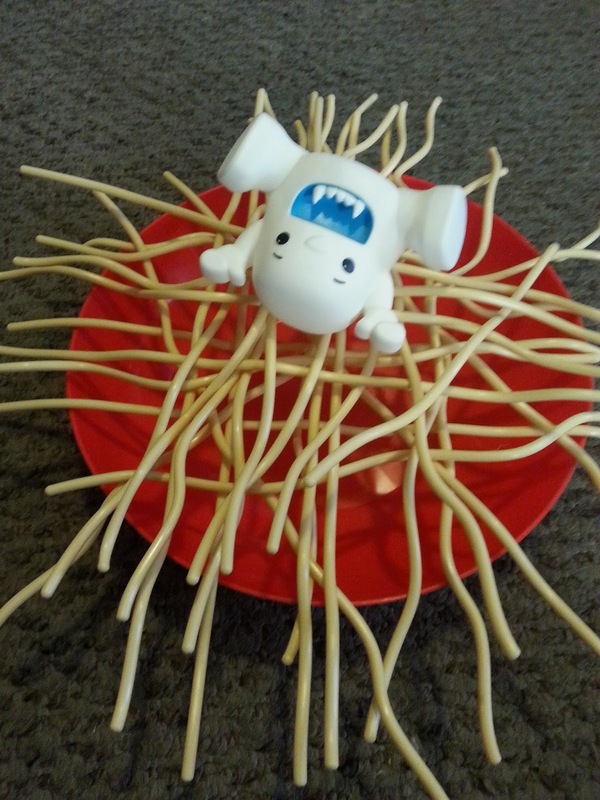 The last successful spaghetti pull wins. And then the kid dumps the bowl on your head- or that's the way my kid wanted to play anyway. My only complaint is that maybe the bowl could have been deeper. 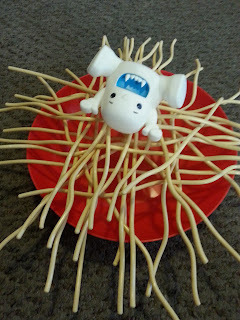 This game was also simple but in a far less endearing way. There's this tiny yellow platform with a curved bottom that the players are supposed to take turns stacking their dice on. This platform was forged in the lowest levels of hell and under no circumstances, despite my adult dexterity and fully developed fine motor skills, will this platform support more than five dice at a time before it topples. 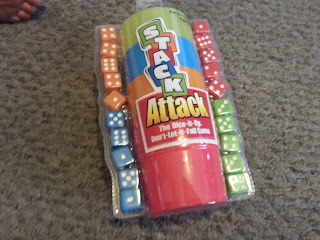 There's also unclear instructions about shaking the dice loudly in these cups until Mommy gets a migraine. There's also rules saying you're also supposed to stack these dice in numerical order either ascending or descending. I truly don't know. The instructions also defeated my college acing reading skills. Overall, these games should entertain children and torture parents in a way befitting of holidays. Please check out our Holiday Gift guide for other gift ideas. 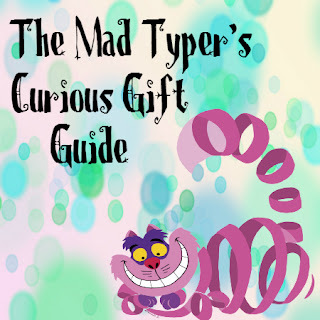 Click here to see the Gift guide, Check back often as we will be adding things.